In 2012, Pierric De Coster and Jonas Blondeel joined forces to create DIALECT. Our name refers to the unique design language of each individual working on a project. Pierric trained as an architect. He likes to think through the entire design process and makes sure every object finds its place in a greater spatial frame. Jonas is more a man of action, focusing on the material and technical aspects. Both their creative languages (or dialects) are essential to the end-result. Form and function are always intertwined. The entire process, from prototype to finishing, is seized as an opportunity to create a durable, honest and universal design. Our DIALECT signature is as important to our made-to-measure projects as it is to our personal work. 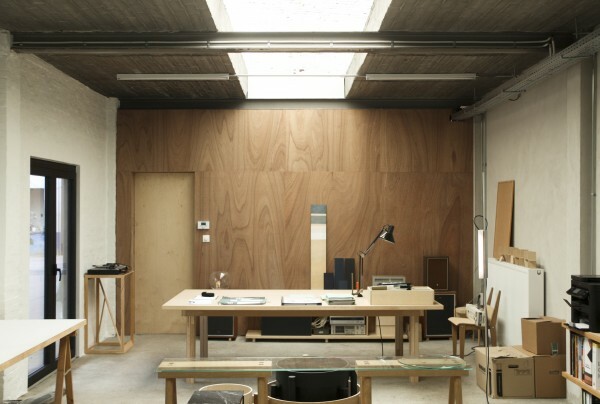 Images and an ample overview of past and current projects can be found on this website (www.atelierdialect.be). © 2019 Copyright D I A L E C T. Website by WordPress & Carp.